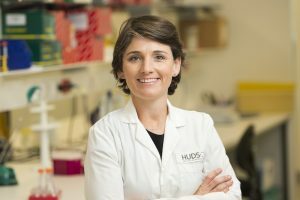 A landmark Nature study that sheds light on how E.coli wreaks havoc on the body has earned Hudson Institute researcher, Dr Jaclyn Pearson, one of the nation’s top scientific awards. The National Association of Research Fellows (NARF) awarded Dr Pearson the 2018 Postdoctoral Investigator Award for her research that shows how some types of E.coli shut down our gut cell’s natural ability to die, allowing bacteria to survive longer. This process potentially results in more severe illness in people. 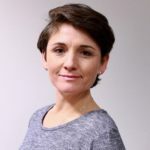 Dr Pearson contributed to the research in collaboration with Professor Elizabeth Hartland and Dr Cristina Giogha in 2013 during the final year of her PhD. The work earned widespread recognition from the scientific community and is highly cited, as it demonstrated for the first time how bacteria can chemically modify cells in our gut. NARF awards the Postdoctoral Investigator Award annually to an early career postdoctoral researcher with the most outstanding publication within the past five years. Dr Pearson said her contributions to the paper have become the foundation for her work at Hudson Institute, which focuses on understanding immune responses to bacterial gut infections. She described the acknowledgement as a great honour. “A panel of top senior Australian research fellows select the award-winner, so it’s a privilege. 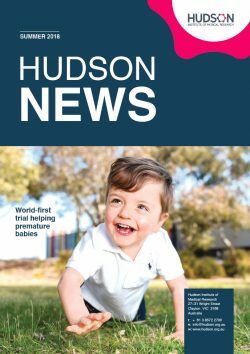 I am proud of the work the team achieved to reach such a high standard that it was accepted in Nature,” Dr Pearson said. This news article was posted on 31 January, 2019 . It was last updated on 5 February, 2019 .